Demon #1 - NEAR MINT 9.2 NM - DC - ORIGIN Story! 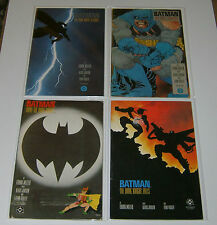 Robin #1 2nd Print DC Comics 1991. INFINTIY WAR #1--Story by Jim Starlin. Art by Ron Lim and Al Milgrom. The sequel to Infinity Gauntlet. All this plus the unholy alliance of Dr. Doom and Kang the Conqueror. Story by Jim Starlin. INFINITY GAUNTLET #4--Part 4 of 6. Deadpool #1 - NEAR MINT 9.8 NM - MARVEL - First Issue! Beautiful NEAR MINT 9.8 Example - White Pages with Excellent Gloss quality! Sandwiched between 2 pieces of thick cardboard for the best protection. Boxed and sandwiched between 2 thick pieces of cardboard for the best protection. NM condition. Will combine shipping costs on all comic purchases. First McFarlane Spidey art. #298 March 1988. I will get back to you. Good Luck! 267 Best of the lot. Back has a piece that shows discoloration at bottom due to light (IMG 3). 269 Creasing here and there 5.0 as shown in scans. Cable #1 - NEAR MINT 9.4 NM - MARVEL - 1st Issue! Deadpool #3 - NEAR MINT 9.8 NM - MARVEL - Commcast, Makeshift & Rive App! CGC Graded 9.8! This copy is CGC Graded 9.8! Doctor Strange #50 - NEAR MINT 9.8 NM - MARVEL - Sorcerer Supreme! Marvel, DC, Charlton and everything in between. Book has a small amount of cover wear. Avengers #226 - NEAR MINT 9.8 NM - MARVEL - Evil Eye! Beautiful NEAR MINT 9.8 Example - Off-White to White Pages with Excellent Gloss quality! Sandwiched between 2 pieces of thick cardboard for the best protection. Boxed and sandwiched between 2 thick pieces of cardboard for the best protection. Batman #428 Exclusive MIgnola Virgin FOIL Variant AZ VIP Ace Comic Con DC NM. In NM condition - This grade is only my opinion as everybody has a different way of grading comics. I am not an expert but I have been collecting for many years and take great care of my comics. I am cleaning out my collection. 13 or more wait for invoice. AMAZING SPIDERMAN #361 CGC 9.6, UNCANNY X MEN #266 CGC 9.4,9,0 1st App GAMBIT. Shipped with UPS Ground. This is a FIRST PRINT. Will be bagged, boarded and bubble wrapped with card board inserts for extra protection. On the spine's edge there are 4 very small to small dings and 0 creases, the top and bottom corners are fine and the center edge has 0 color separation, and generally the normal very thin line on most books. Iceman #4 by Marvel Comics. 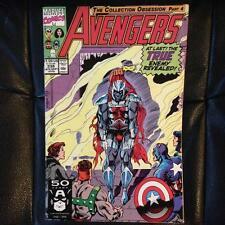 Avengers Annual 22 1993 Black Knight Marvel Comics. VF/NM. Comes bagged and boarded. Combined shipping if you win another auction within 3 days. NEW MUTANTS #26 1ST FULL APPEARANCE LEGION DAVID HALLERS FX SHOW MODERN KEY! You are looking at THE NEW MUTANTS #26 FROM MARVEL COMICS. 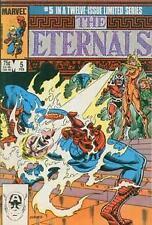 Infinity Gauntlet #6( Marvel Comics ,Sept,1991). Shipped with USPS First Class Package. West Coast Avengers 9 & 10 (2019) - Alloy 1st Appearance. Lot includes West Coast Avengers #9 and #10. First appearance of Alloy. Comics are 9.4 or better. Please refer to the pictures. Will be shipped in a comic box. The comic in the picture is the comic you get. I’m not a grader. I have never had an issue. Larger orders are sent in boxes. I want your comics to arrive alive. Here is what you need to know! I do not know if digital codes have been used. This is an awesome 8.0 copy of Avengers #257 1st appearance of Nebula! Feel free to message me with any questions. CHECK OUY MY OYHER LISTINGS!! AUCTION GOING ON NOW!! Silver Surfer #14, 15, 20, 64. Mighty Thor #379. These are almost all reader copies. Detective Comics #659 (Knightfall). Batman vs Predator Complete 1-3. Batman #496 (Knightfall. This Marvel, Dc, and Independent lot includes. ). Avengers 257 CGC Graded 1st Appearance Of Nebula Marvel Comics 1985. Shipped with USPS Priority Mail Medium Flat Rate Box. X-Factor #15 (Apr 1987, Marvel)1st App Horsemen Of Apocalypse Death Of Angel Key. Shipped with USPS First Class Package. Net proceeds from the sale of these goods and financial donations from the community make it possible for us to operate our free job training programs. Because Jobs Change Lives! No exceptions can be made. 1 UNCANNY X-MEN COMIC GRAB BAG READ BELOW X-MEN 266 1st GAMBIT! 244 1st JUBILEE! You have a 1 in 100 chance of getting the first appearance of Gambit or any other key issue! 1st appearance of Crimson Commando, Stonewall, Super Sabre. 244 1st JUBILEE! (#332287919531). (#332287919531)US. Web of Spider-Man #118 vf/nm cond 1st Solo Scarlet Spider Story, Venom app. Our goal is to make your collecting as fun and enjoyable an experience as possible. 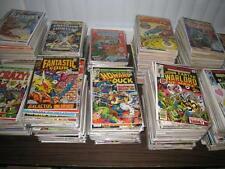 We have a great selection of Marvel Comics and DC Comics, Silver, Bronze, Copper age and New comics too. The Transformers G1 #1-80 VG+ to NM (Marvel,1984-87) Optimus Prime MUST SEE! L.E.G.I.O.N '89 #1-10 NM (DC,1989) Keith Giffen, Alan Grant Brainiac, Stealth!